Kathleen Misturak Gingrich has thirty years of experience representing clients in complex business matters, commercial litigation and providing preventive legal counseling to guide her clients through the maze of regulations and additional considerations necessary to conduct business in today's highly regulated, yet global economy, while simultaneously advancing their business objectives. As former in-house counsel to a major telecommunication company, Kathleen knows business, appreciates diverse business cultures, is keenly aware of business budgets and actively undertakes to understand and advance the goals and objectives of her business clients. Her practice, therefore, focuses on pragmatically and cost-effectively finding solutions to resolve issues, whether contractual, regulatory, workforce or other related, before they escalate into litigation. However, when litigation is necessary, she immediately assesses the merits of the case and devises and implements a litigation strategy intended to bring the matter to a prompt and fair resolution for her client. Kathleen's representative clients include both public and closely held companies, encompassing many industries, including construction, technology, retail, and manufacturing, all of whom comment that Kathleen's advice "adds value" to their respective businesses. In addition to her tenure as in-house counsel, Kathleen also served as a Deputy Attorney General for the Commonwealth of Pennsylvania, practiced at the Harrisburg office of Eckert Seamans Cherin & Mellott, LLC and the Philadelphia and Harrisburg offices of Manta & Welge. 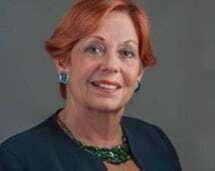 She also was a founding member of the woman-owned law firm, Daly Zucker Meilton Miner & Gingrich, LLC until she left in 2013 to become a member of the Law Offices of Peter J. Russo, P.C.